Outstanding service, great value, perfect location for access to town and entire valley (with free bus/train pass included!). I cancelled the Innsbruck part of my vacation to stay here longer. Where to find Campo di Trens hotels near an airport? Where can I find hotels in Campo di Trens that are near tourist attractions? Are you looking for accommodation within a short driving distance of central Campo di Trens? Campo di Trens offers 9 quality short-stay and long-stay options within easy driving distance of the town center. Campo di Trens' center is within strolling distance of accommodation including Lener Wirtshaus & Hotel and Romantik Hotel Stafler. The Alpeiner Nature Resort Tirol is positioned 30 kilometres (20 miles) from downtown Campo di Trens. Alternatively, the Spa Hotel Jagdhof is positioned 30 kilometres (20 miles) away. 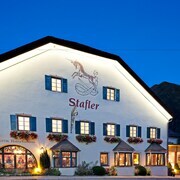 Alternatively you could make a booking at the Hotel Alpenhof or the Alpenbad Hotel Hohenhaus. 35 kilometres (21 miles) away from Campo di Trens you'll find Merano Historic Center, where you can explore Merano Theatre and Merano Christmas Market. 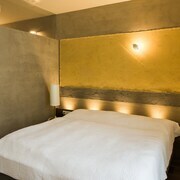 Merano Historic Center hotel options are the Hotel Castel Fragsburg and Park Hotel Mignon. Or stay in Alpe di Siusi, 40 kilometres (24 miles) to the south of Campo di Trens, where you can pick from the Parc Hotel Miramonti and Hotel Waldsee. The Lake Fie and Proesels Castle are popular attractions to experience when visiting Alpe di Siusi. Before you head home from Alto Adige - South Tyrol, ensure you catch some local sport. Visit PalaTrento to the south of Campo di Trens. For travelers who are interested in booking a room nearby, make a reservation in the Aquila d'Oro or Hosting Culture Hotel Accademia. Kranebitten Airport is located 45 kilometres (29 miles) away from Campo di Trens. Travelers who wish to stay nearby, you can book a night at the The Penz Hotel or Hotel Seppl. What are the most popular Campo di Trens hotels? Are there hotels in other cities near Campo di Trens? What other types of accommodations are available in Campo di Trens? Explore Campo di Trens with Expedia.ca’s Travel Guides to find the best flights, cars, holiday packages and more!